The Selinda Spillway, linking the Okavango Delta in the west to the Linyanti Swamps in the east, is one of the last remaining true African wildernesses. 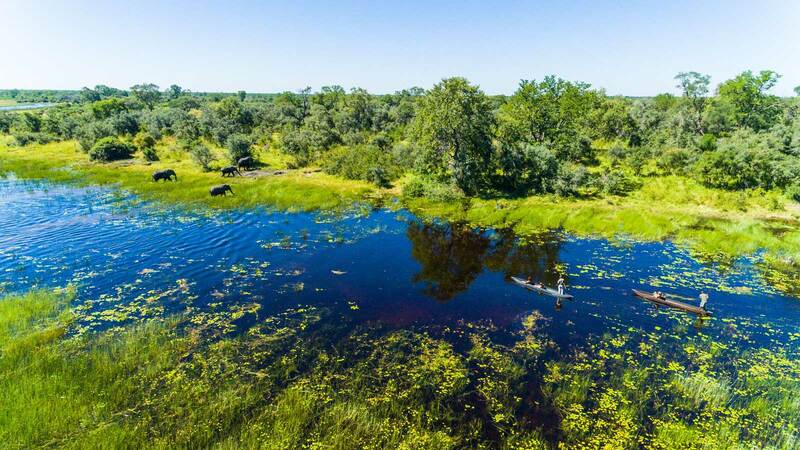 We can think of hundreds of reasons to visit this wonderfully wild corner of Botswana, but here are six that might tickle your fancy. 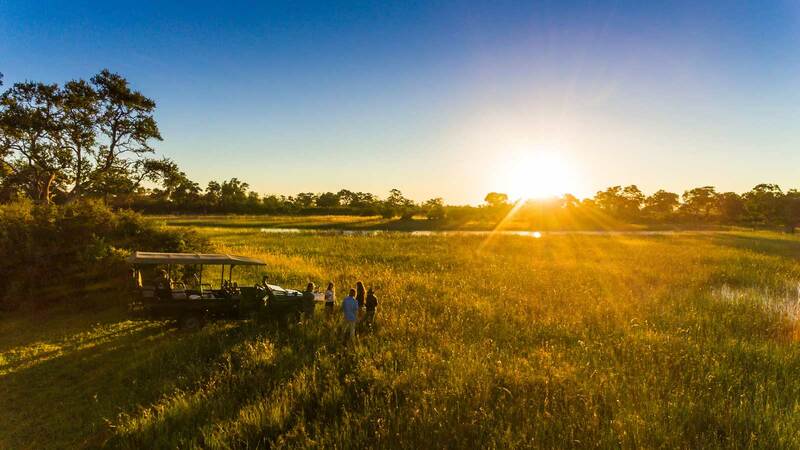 Motswiri Camp operates exclusively on a massive 120 000 acres of wilderness on the wildlife-rich Selinda Spillway in Northern Botswana. The Selinda Reserve only allows for a very limited number of people at any given time, which means you’re essentially ensured privacy and exclusivity. 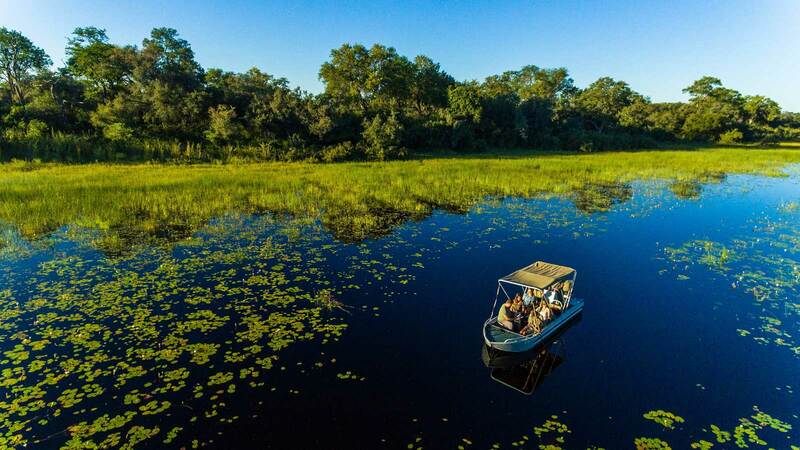 It’s veritably teeming with game and birds, and you will likely not have seen an abundance and variety of wildlife like you are virtually guaranteed to see here – from the luxury of the camp’s deck, no less. Recline on Motswiri’s viewing deck with a G&T in hand and watch as elephants happily slosh and splash through the waterways in front of camp, before sitting down to a starlit dinner, and later repairing to one of five comfortable tented chalets. As you drift off to the smorgasbord of sounds in this vast and untamed wilderness, you’ll feel as though you have Africa to yourself. 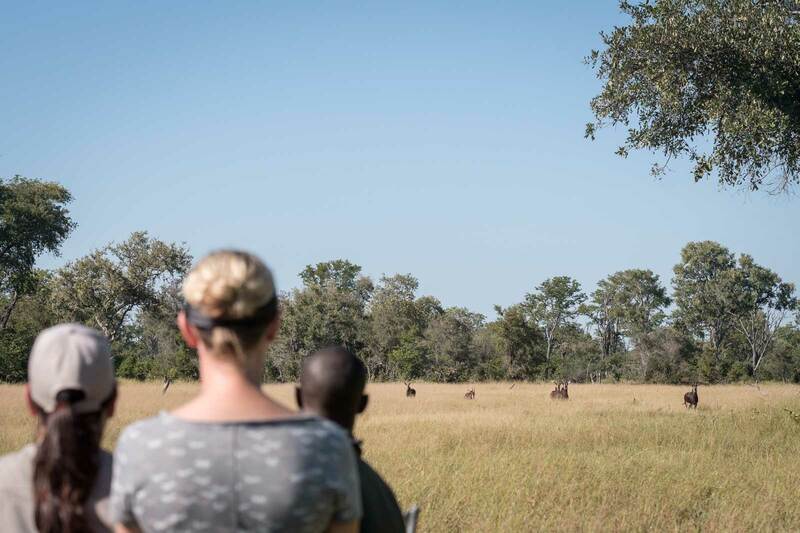 Guests at Motswiri love the game drives, but it’s the boat safaris that see them returning. Gliding over smooth hazel waters, you’re guaranteed to see plenty of game on the banks (and in the water!) – keep an eye out for those hot-tempered hippos and sly crocodiles. Sundowners are always a serene affair on boat safaris here. Drink in hand, listen to the gentle lapping of water against the hull as the sun sinks, and watch pinks, oranges and purples reflect off the Spillway’s glassy surface. 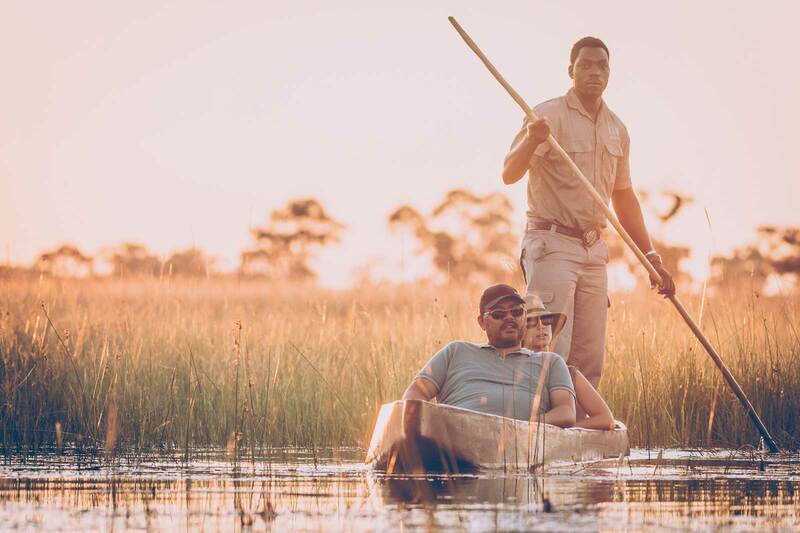 If you fancy getting even closer to the water, hop in a makoro – a traditional dugout canoe – and let one of the experienced Motswiri guides lead you on a memorable water safari through the snaking canals of the spillway. You’re bound to see even more game and birds as you silently coast the reed-fringed waterways. Keep an eye of the pretty Angolan painted reed frog; they’re brightly coloured but only about 35mm long, so keep your eyes peeled! Back on terra firma, why not embark on a beautiful, informative bush walk? Walking safaris in the Selinda Reserve tend to serve up all manner of thrilling sightings, and the guides are extremely knowledgeable. You’ll learn plenty about the fauna and flora of the area, and even do a bit of tracking. It’s a great opportunity to indulge in nature/wildlife photography, and for those keen to wet some line, a spot of fishing can be worked into the walking trail, too. Guides can tailor the experience to suit the group’s interests. 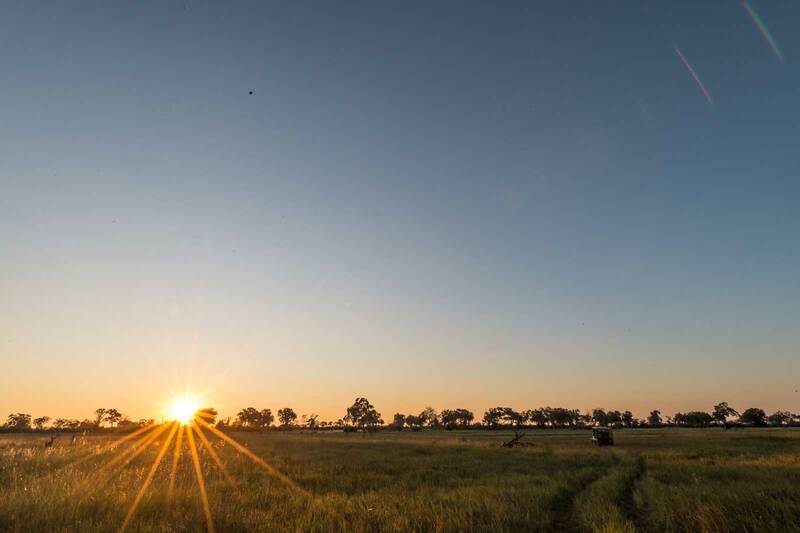 Sunsets are a huge deal here, and the staff at Motswiri will make sure you get the best African sundowner experience you’ve ever had. As mentioned, the boat-safari sunsets are rather epic, but there’s a famous spot on the spillway that takes things to the next level. A lone, majestic baobab stands sentinel over a shallow waterlogged area. In the background, elephants bathe contentedly while birds of all shapes and sizes flit about to conclude their business before darkness descends. Under the massive baobab, a table is laid out with the tipple of your choice, ready for you to toast another tough day in Africa. It really is a magical, mystical spot that will take your breath away. 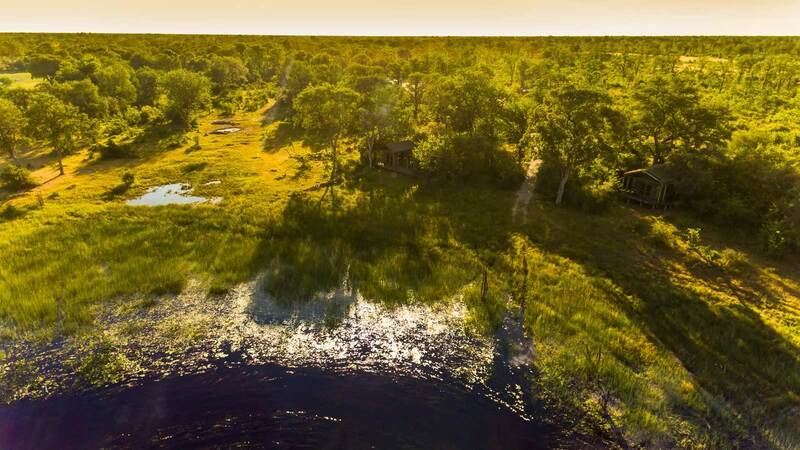 If you’d like to immerse yourself even further in this wild paradise, Motswiri can now set up a ‘fly camp’, which is more rustic than the base camp, but even closer to the water’s edge. Guests are led on a walking safari from main camp, sleep over at the fly camp for a night and are then driven back the next day. Avid fishermen like to spend a night here, as they are much closer to the fishing waters and can cast a line whenever they feel like it. But non-fishing guests also like the change of scenery. It is less Karen Blixen, and more Kingsley Holgate, and that is part of the charm of the fly camp! 2 Responses to "6 Reasons to Visit Motswiri Camp on the Selinda Spillway"
Looking for maybe 5 days or so – not luxury – but comfyish and just single. Please contact reservations@sundestinations.co.za. The team will put together an unforgettable itinerary for you.